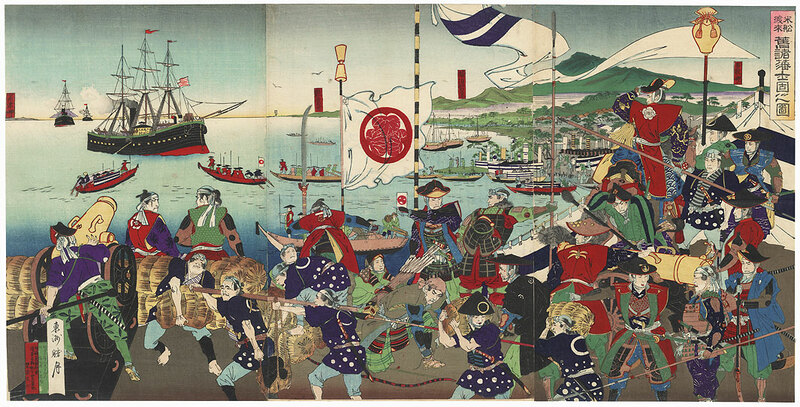 Comments - Terrific depiction of the arrival of U. S. ships during Commodore Perry's expedition to Japan. A huge black ship waits in the harbor of Edo Bay, flying the United States flag, as a few boats row out to meet it. 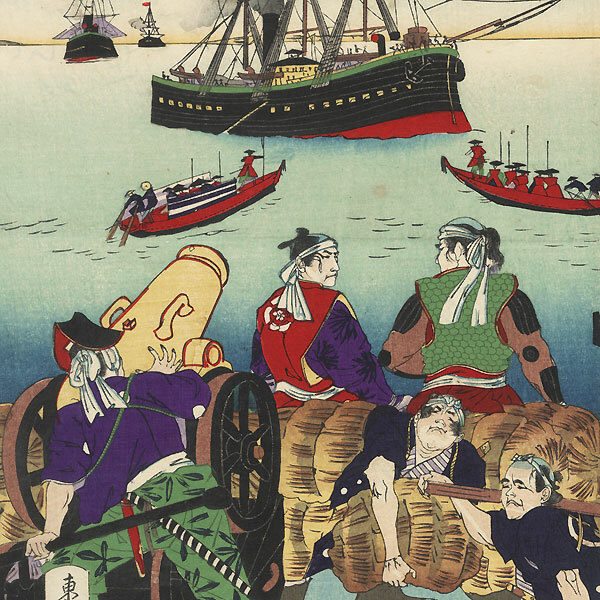 The shoreline is bustling with activity as samurai keep a close watch on the foreigners and laborers wheel cannons into place and stack bails of straw along the embankment. Two men carry a sack filled with cannonballs hanging from a pole resting between their shoulders. A fantastic image of this historic event, with lively color and wonderful detail. Includes burnishing on the black robes and hats. Image Size - 14 1/8" x 28 1/8"
Condition - This print with excellent color and detail as shown. Three attached panels, backed with paper. Slight toning and soiling, a few creases. 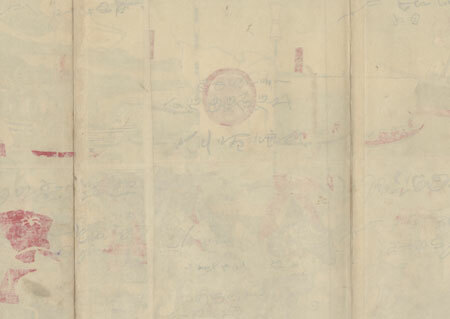 Horizontal and vertical lines where backing papers meet. Please see photos for details. Good overall.